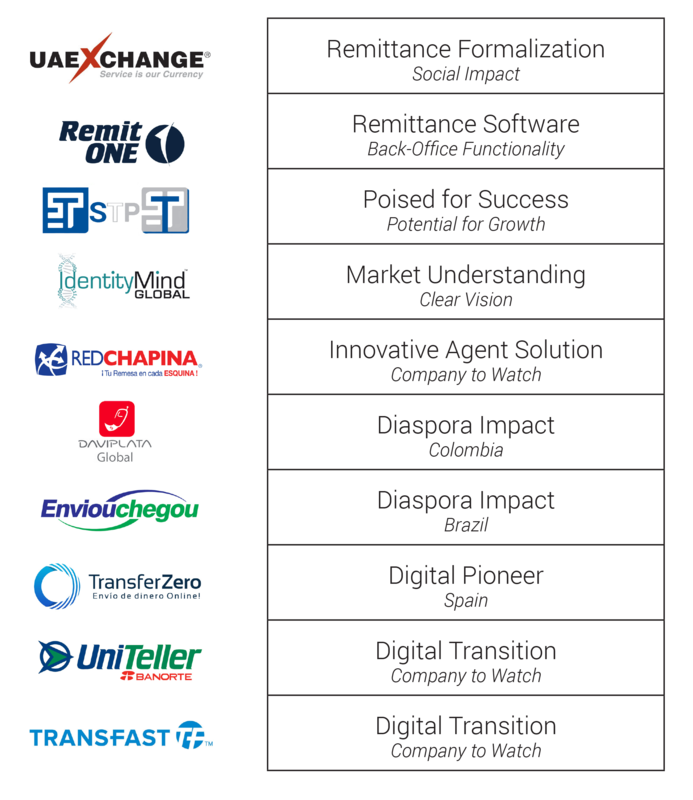 New York, June 15th, 2017 – The 2017 Remittance Innovation Awards (RemTECH Awards), whose aim is to showcase the most innovative and outstanding ideas, models and projects designed to improve remittance services worldwide were announced at the Global Forum on Remittances, Investment and Development GFRID2017 organized by the International Fund for Agricultural Development (IFAD), the World Bank and the United Nations Department for Economic and Social Affairs (UN-DESA) in New York City at the United Nations Headquarters. A video showcasing the event can be viewed here. We had 36 entrants admitted into competition, 11 awards were given and 10 Mentions were presented by the Judges. Check the Book we distributed at the event. 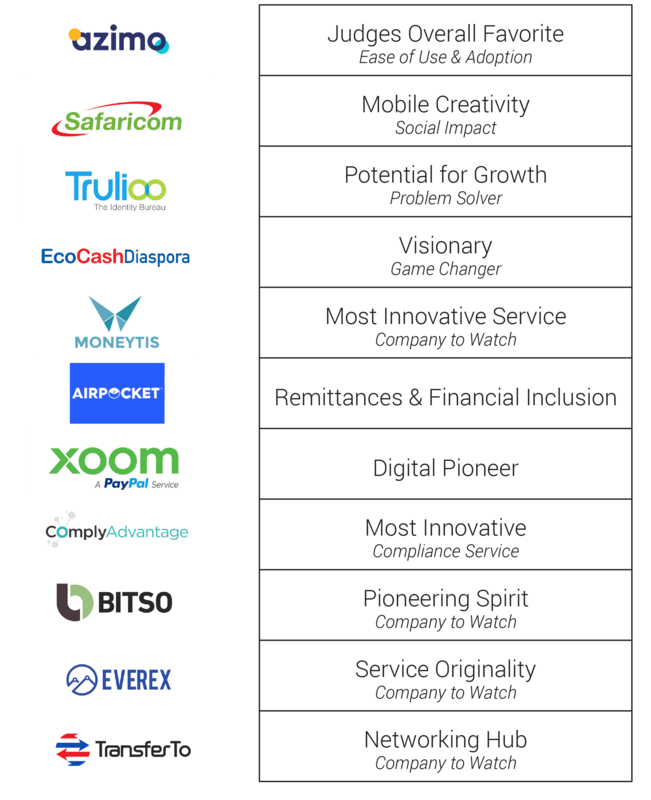 UK’s digital money transfer company Azimo received the Judges Overall Favorite Award while Safaricom, the parent company of the mobile service M-PESA received the Mobile Creativity Award and US online money transfer service Xoom received the Digital Pioneer Award. Other awardees were, identity company Trulioo for Potential for Growth, Start-up Moneytis for Most Innovative Service, Mexican Bitcoin company Bitso, Pioneering Spirit, Singapore-based TransferTo, Networking Hub and Zimbabwe’s mobile money service EcoCashDiaspora, the Visionary Award. 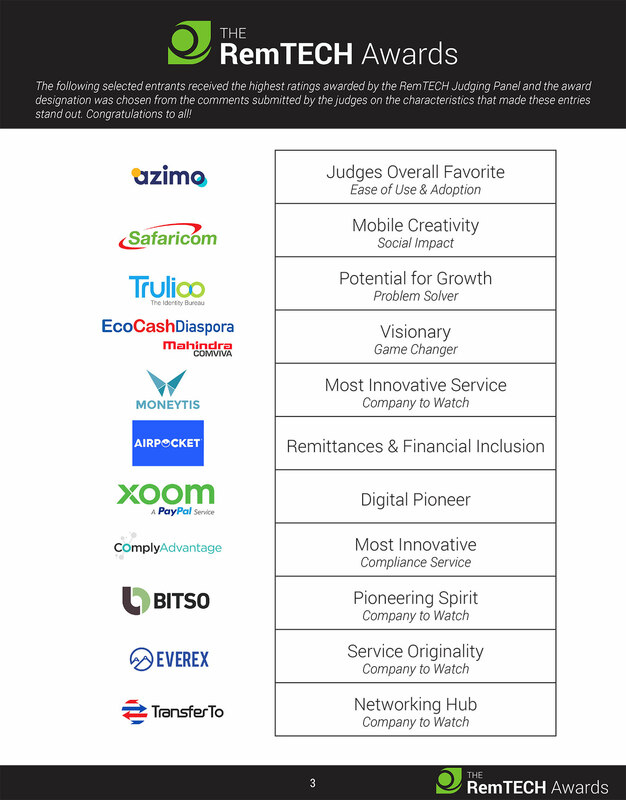 ComplyAdvantage received the Innovative Service for Compliance, Fintech Airpocket, Remittances & Financial Inclusion and Blockchain-Powered Remittance Service Everex, the Service Originality Award. The Voter’s Pick award went to Digital Agent & Money Transfer Marketplace WireCash who received 9,857 online public votes. 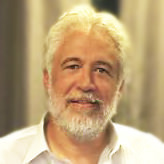 The entries were judged by an independent judging panel co-Chaired by US blockchain entrepreneur Greta Geankoplis and Filipino fintech expert Luis Buenaventura with the well-known expertise of Leon Isaacs, Faisal Khan, Yakov Kofner, Sofia Freyder, François Briod, Mehul Dasai and Juan Llanos. Mentions were given to ten contestants to highlight their contributions to the technological advances in remittances. For Diaspora Impact, Daviplata Global from Banco Davivienda (Colombia) and EnviouChegou from US money transfer company Pontual (for the Brazilian diaspora), Digital Transition for US money transmitters Transfast and Uniteller. 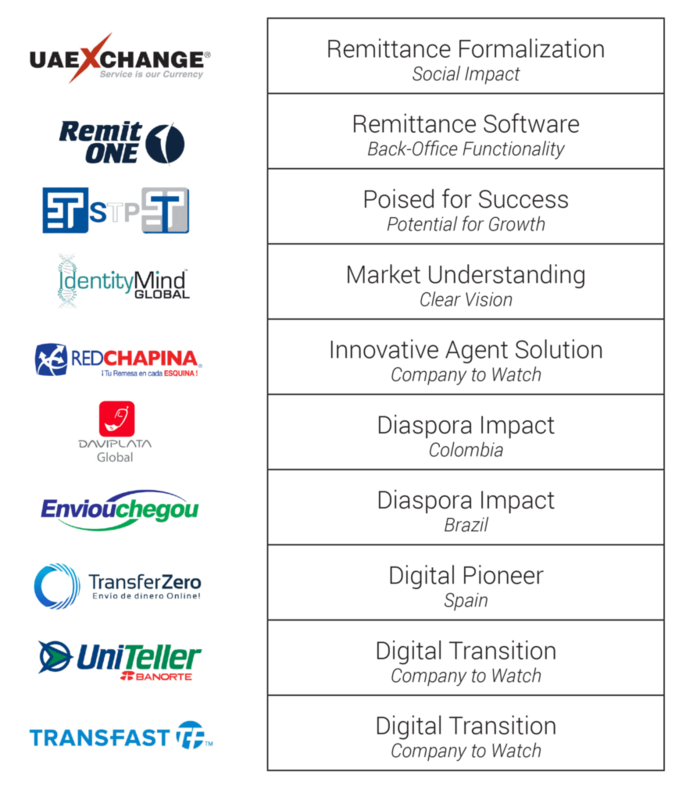 Digital Pioneer for Spain’s TransferZero, Innovative Agent Solution for Guatemala’s RedChapina, Remittance Software for UK’s RemitOne and Remittance Formalization for United Arab Emirates UAExchange. Mexico’s Sistema de Transferencia y Pagos STP received the Poised for Succeed Mention and US IdentityMind the Market Understanding-Clear Vision Mention.